You’ve probably seen dozens of lists like this, but let’s admit it – most of them center on locations that are already flooded with retirees for all the usual reasons. On this list, I’m zeroing in on cities that offer tangible financial advantages to retirees. Sure, they’re great places to retire. But each also offers financial or economic benefits beyond simply being where the living is cheap. And that’s the way it should be – if you’re moving to another city, you’re moving there to retire and create a new life, not to fold up the tent of your life. The recommended cities were largely culled from at least a half-dozen other “best places to retire” lists, and I zeroed in on the ones that were included across several lists – plus a couple of surprises that don‘t usually make the circuit. But remember, this list is about cities that offer specific financial advantages to retirees. Due to warm weather, beaches and the absence of a state income tax, locations in Florida are heavily over-represented on most such lists – I even included one here. But, I took the liberty of assuming that not everyone wants to live out their golden years in the Sunshine State, and broadened the list to cover the country. The last two points warrant some explanation. While weather and amenities are mostly about personal preferences, they can also translate into lower living expenses. For example, a mild climate can result in lower utility bills. And, an abundance of local attractions can lower the cost of both entertainment and travel. This is particularly true of natural amenities like beaches and lakes. On the job front, I considered retirees often return to the job market – due to either financial necessity or out of boredom. An area with strong employment will make those jobs available. It’s a nice option to have, even if you never need to use it. In addition, strong local employment also creates investment opportunities close to home, particularly in regard to rental real estate. A strong job market usually means greater potential rent income which can be had in an area with few employment opportunities. Keeping the “different strokes for different folks” idea in mind, I’ve presented this list as the top ten cities your financial advisor approves you to retire in and not a specific ranking. Depending on personal preferences, any one of these cities could be your own top choice. 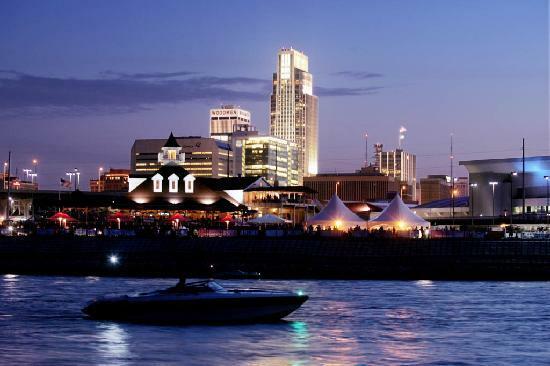 The home of Warren Buffet – arguably the world’s best-known billionaire – Omaha is consistently showing up on lists like best city for new college graduates, best city for job opportunities, best city for entrepreneurs, and many more like it. This is a city on the rise, and that is reflected in its growing population, currently well over 400,000. But, when you add the city’s low cost of living to its many economic opportunities, it’s also an excellent place to retire. Granted, winters are severe in this part of the upper Midwest – with an average high of 33, and low of 13 in January – but if you already live in the Midwest this shouldn’t be a problem. In fact, the cold weather can more than be offset by the fact that the cost of living in Omaha is well below the national average, and the median house price is only a little bit more than 75% of the US average. The city offers low-cost living in combination with rising economic opportunities, and an increasing number of cultural amenities. As wealth in the city is rising, so are those amenities. Omaha is a surprisingly ethnic city, which is reflected in its various neighborhoods, including Little Italy, Little Bohemia, Little Mexico, and Greektown. Located near downtown Omaha is the Old Market, the city’s primary historic district. Older buildings, such as warehouses, have been converted to shops, restaurants, bars, and art galleries. No list of cities to retire in would be complete without at least one entry from the state Florida. 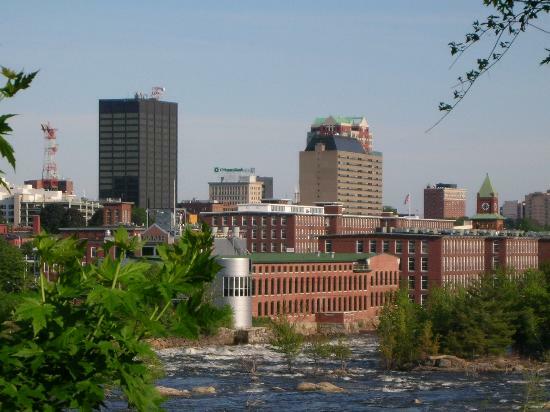 The state offers too many financial benefits and amenities for retirees to ever ignore. For starters, there is no state income tax, which is a benefit to retirees looking to stretch their retirement dollars farther. Year round warm weather keeps heating bills low, and the state is surrounded by tropical beaches making it hard to beat as a retirement destination. Though house prices in the Sarasota area are a little bit above the national average, that’s still lower than many other popular retirement havens in coastal Florida. And Sarasota house prices can still be blessed relief to those relocating from areas like California and the Northeast, where prices are radically higher. The city is located on the gentle shores of the Gulf of Mexico, about an hours drive from Tampa, two hours to Orlando, and less than four hours to Miami. Much like Omaha, Austin is another one of those cities that turns up frequently in all of those good news lists of the best cities. Employment is growing rapidly in the city, particularly in the technology sector. It is also home to the University of Texas, with more than 50,000 students. Despite the economic advantages that Austin has, the overall cost of living in the area is actually below the national average. The overall state tax burden for Texas, at 7.9%, is the second lowest of any city on this list. The best news, for retirees, is that Texas is another one of those states that has no state income tax. House prices are above the national average, at $225,000, but still well below the high cost cities that so many retirees leave behind. This is partially because of the rapid population growth in the area, as well as its booming economy. The unemployment rate of 4.4% is nearly 1/3 below the national average, and that presents all kinds of economic opportunities. If you ever have a need for a post-retirement job, education and technology are strong fields in this area, along nearly every other sector. The news on the weather in Austin is mixed. The 62° average January high makes for a very pleasant winter; but the 97° average high in August makes it one of the hottest cities in the country. But despite the weather, Austin offers tremendous cultural opportunities. It’s status as a major college town feeds into that culture. For example, the SoCo shopping district near downtown, prides itself on “Keeping Austin Weird”, and is home to eccentric stores, coffee shops, restaurants, food trucks, trailers and numerous festivals. If you’re looking to retire to a place where life is happening all around, Austin is the place. One of the richest cultural centers in America, Charleston is an historic seaport and beach community. The city has some of the oldest and best preserved architecture in the US, and represents a blend of Southern, English, French, and West African cultural influences. The city offers mild (but not tropical) weather, and is also a reasonable drive to Atlanta and to various locations in Florida. Like most other cities on this list, Charleston combines a low cost of living and relatively low taxes with a strong economy. House prices are above the national average, with a median of $225,000, but that’s still a bargain when you consider that the city is both historic and coastal, with a mild year-round climate. The “Music City” has a lot going for it, and that makes it a primary destination for retirees. The capital and second largest city in the state of Tennessee, Nashville offers a strong economy, a low cost of living, and the cultural advantages of being the capital of country music. You just have to love those states that have no income tax, and Tennessee is yet another of them. But even beyond the absence of the state income tax, Nashville has the lowest overall rate of taxation of any city on this list. Beyond low taxes, the city’s overall cost of living is well below the national average, and median house prices in the area are nearly 20% below the US median. The economy is strong, with the music industry, tourism, state government, healthcare, education, and the growing automobile assembly industry in the Middle Tennessee region. Des Moines is another Midwest city that has been seeing steady growth in both population and its economy. Despite this growth, the cost of living in the city’s nearly 10% below the national average, while house prices are about 20% lower than the median for the entire US. Though it sits in the middle of the large Midwestern agricultural region, the growth of the city’s economy has been due primarily to nonagricultural industries. The city is regarded as the third-largest insurance center in the world, and is also the state capital of Iowa. It has a significant number of jobs in both finance and healthcare. Prairie Meadows Racetrack and Casino is located in nearby Altoona, an entertainment venue for gambling and horse racing. The facility is open 24 hours a day, 365 days per year, and features more than 1,750 slot machines and table games. It also hosts concerts and shows. Surprise! Atlanta is by far the biggest city on the list, and while big cities are not generally good places to retire, this one is an exception. For starters, the city enjoys mild winters – the average daytime high in January is 52 degrees – the overnight low is 34. Not quite Florida, but extremely pleasant. Location is another Atlanta plus. The city is an easy drive to Florida, as well as Nashville, and the charming coastal cities of Charleston, SC, and Savannah, GA. And for longer distances, Atlanta is home to Hartsfield-Jackson Airport, the busiest airport in the world, providing non-stop flights to nearly every destination in the world. In addition to a below average state tax burden, Georgia offers a major tax benefit to retirees. The state allows a $35,000 “other retirement income” exclusion for each taxpayer. This includes taxable investment income, as long as you’re age 62 or older. For most retirees, this will prove to be the equivalent of having no state income tax. The cost of living and median house prices are both below national averages, and while the unemployment rate is slightly higher than the national average, the job base is diverse, offering opportunities in virtually every field. Yet another surprise! Though we don’t normally think of New England when it comes to retirement, Manchester is well worth a close look. It can provide many of the advantages of life in the Boston area, but without the high price tag. The city has the third lowest state tax burden of any city on this list, but there’s even more on the tax front. Though real estate taxes are fairly high, the state has neither an income tax nor a sales tax. And the city’s low unemployment rate virtually assures that there will be a job available if ever you decide you need to come out of retirement for a spell. Amenities abound in the area. The city has a charming downtown area that’s undergoing redevelopment. There’s skiing in the nearby White Mountains, Atlantic beaches are about 30 minutes away, and Lake Winnipesaukee and Squam Lake (where the movie On Golden Pond was filmed) are some of the most beautiful lakes in America. Boston – with all of its cultural amenities – is just an hour away by car. Cold weather is certainly a negative, but not everyone despises the cold. And while both the overall cost of living and median house prices are higher than national averages, they’re generally a bargain by Northeastern standards. Another state capital, Salt Lake City is another location that combines low cost of living with a strong and growing economy. The median house price is well above the US average, at nearly a quarter million dollars. But it is in the West, where house prices in general are higher than in the rest of the nation. And if you are planning to relocate from a high-cost state like California, house prices in Salt Lake City will seem like a true bargain. At 4.3%, the area’s unemployment rate is more than one third below the national average. In addition, employment is broad-based, including government, education, healthcare, transportation (the city’s airport is one of the busiest of the nation), as well as business and professional services. Weather can be a bit of an issue in this area, as the region experiences severe winter cold, as well as searing summer heat. However, the city is close to the Great Salt Lake, as well as numerous world-class skiing resorts (there are eight ski resorts within 50 miles of the city). If you’re looking to retire to the mountains, Asheville could be the place for you. Located in the Blue Ridge Mountains of North Carolina, Asheville is in one of the most beautiful settings in the US. The city’s climate features mild winters and warm/hot summers, comparable to those experienced in Atlanta. In fact, Asheville is located within a reasonable driving distance of Atlanta, as well as other southeastern cities, including Nashville, Charlotte, and Charleston. In regard to cost of living, overall state tax burden, and median house prices, Asheville is right about at the average for the US in general in each category. But that is in an area with an unemployment rate that is well below the US national average. Employment in the area is broad-based, and includes education, healthcare, retail, and tourism. If you’d like to retire to a mountain region – one with a low cost of living, mild climate and a solid local economy – Asheville is worth checking out. Other Top Cities to Retire? What cities did I miss? Are you retired and think your city deserves a mention? Share in the comments below. I live in Nashville, grew up here, an average 3/2 new home will cost you anywhere from 289/349,000 and on up depending on neighborhoods. You can buy an older house for $160000 in the suburbs or a condo. We don’t have income tax but do tax investment income (Hall tax). Dividend income is taxed. Groceries and sale tax are another 9.75%. My property tax is 1800.00 a year for my $260,000 home. I am a resident of The Villages since 2007, so I will give you an insider’s perspective. The Villages is a fun place to live, but you’ll enjoy your life here a lot more if you are a person of means. Although they will claim that all income levels can comfortably reside here, most things are geared toward the more affluent. Even the local stores are high-end. Also, there is a monthly amenities fee that everyone must pay. Currently it is around $150 a month There are many golf courses (almost 600 holes) throughout, but that comes with a price tag as well.. (Usually lower than most golf courses!) During the months that the snowbirds reside here, traffic is very heavy, but not like New York, Washington, Chicago, Miami, and Los Angeles.. But once they leave, the roads are a pleasure to drive on. Medical care is plentiful, but most doctors want to see you more frequently. My wife and I love the lifestyles (classes, clubs, and recreation programs) and having everything so near. It is so big that you always find people from your hometown and with your interests. You get a better built home with a great view for less money. (plus walking trail) The Villages is a good place but not for everybody. The cost of living there is much dramatically low than others because I have more money to spend. I hope I helped you with the information I provided. For more info, you may look at http://www.thevillages.com. Now it is over 100,000 active seniors with 50,000 homes there. Nice list…and a fun read! Thanks for compiling and boiling it down…I was surprised to find ATL on there! I’m a big fan of Texas Cities, and highly recommend Dallas for its low cost of living, lack of state income tax, and huge job market. This is an interesting list – I’m especially impressed that you picked those “boring” mid-western cities (Omaha and Des Moines). I have lived in West Des Moines and wouldn’t hesitate to retire there, other things being equal. But actually I am commenting because I can not fathom where in the world you get the idea that Austin housing is affordable: it most certainly is not, and I have connections to Austin going back 45 yrs and continuing to the present. My wife’s sister and brother are still there and their homes (modest, middle-class types) are priced well over $500,000 – the more expensive (also in a nice but older neighborhood) over $750,000! Austin property taxes (which every resident pays directly or indirectly) easily erase most if not all of the gains from no income taxes. There are some good retirement options in TX (Lubbock, Abilene, and Amarillo among them – ymmv) but Austin and to some extent San Antonio are not among them. We moved from Fl. in 2011. Had enough of that state with 3 hurricanes coming through our neighborhood in 6 weeks in 2004, hot and 99% humidity. Being from Austin (well, actually right outside in the gorgeous Texas Hill Country).. I have to jump in here. But, unless I’m missing something about how you’re defining “state tax burden”.. Texas does not have a state tax. Another important consideration is that yes, Texas in general gives you a much bigger bang for your buck as far as housing.. However we do pay for it in property taxes. Some areas are as high as $3.50 per hundred value so on a $300k house you’ll pay $10,500 annually in taxes. In the areas surrounding Austin (where you might find a decent home for $225k) you could get lucky and pay about $2.50 per hundred, bringing your annual property taxes down to $5625. Typically, people just about have a cow when they see our property taxes, so I thought I’d leave a comment. p.s. I wasn’t born in Texas but got here as fast as I could! Some interesting cities including my birthplace Omaha. Love Nashville, spent a long weekend there in March with our daughter who attends law school at Vanderbilt. Atlanta is great, I used to travel there on business. Charleston also impressed us, was there for the one and only time a couple of years ago looking at U of South Carolina with our son. Austin is supposed to be the “Madison of the South” named by those familiar with University of Wisconsin. The only one I might disagree with is Des Moines, seems like a place one would go to die from boredom. All this said it will be interesting to see if we stay in the Chicago area or move in our future. Great post…I think we like Sarasota, Austin or Charleston from the list. We are from California so retiring almost anywhere but here sounds better, economically speaking. Similar to the first commenter, Little House, weather will be one of the major deciding factors! You might want to think about the worry of a hurricane coming your way each hurricane season. Having lived in the Orlando area for 10 years recently and 3 hurricanes coming though our neighborhood in 6 weeks during 2004 which was real scarey. We got out of there 2 1/2 years ago now that we are retired. We love the west which is where we are not and no state tax returns. What, no cities in Colorado?! As a California resident, I am plotting to retire somewhere OTHER than California and Colorado is on my list of states to explore. My pension will stretch farther pretty much anywhere else other than good old CA. However, weather is a huge deciding factor considering I’ve been spoiled for decades. Austin is a city I’d consider or the Carolinas, so maybe I’ll check out those places over the next few years. Thanks for the list! If you do not mind a little heat, we love Las Vegas and we are retired. Moved from hot and humid Fl. Had lived in Santa Barbara for 30 years before that.